New to T's, a beautiful collection of one-of-a-kind, handmade accent pillows. The personalized pillows include fully lined covers and down/feather inserts. The Celebration design features an elegant wax seal and the Santa a festive jingle bell embellishment (choice of brass or silverstone). 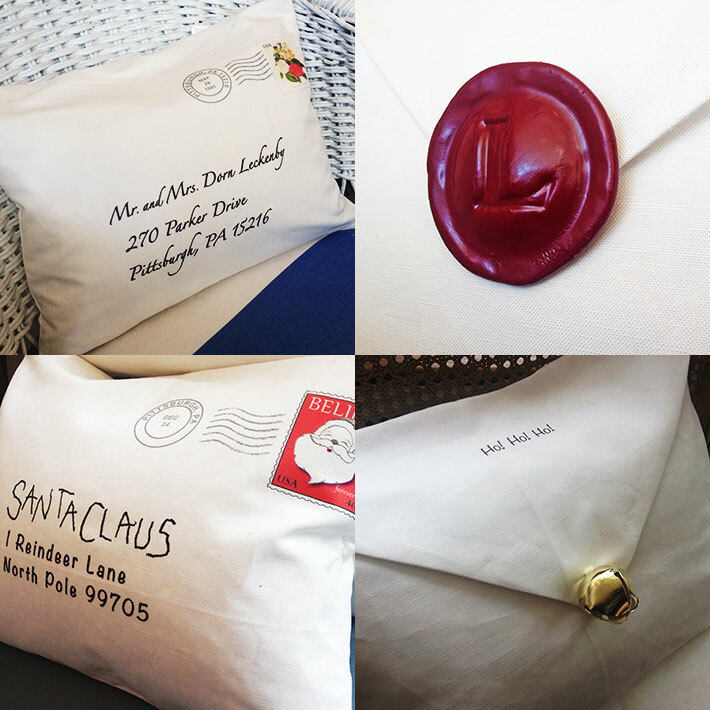 Order your Santa pillows by November 15 for Christmas delivery. Call us at 412-687-1988 or visit the store to place your order.